Krallice is an American black metal band that was formed by jazz educated guitarists (Mick Barr played in legendary avant-garde jazz band The Flying Luttenbachers, performed for experimental pop band Animal Collective's live show and is signed to Mike Patton's record label whilst Colin Marston plays the 12-string warr guitar for technical-jazz-instrumental-metal Behold The Arctopus and is the bassist for technical death metal band Gorguts and avant-garde post-metal band Dysrhythmia). The band has been part of the recent backlash against 'hipster-black-metal', namely American black metal bands that disregard the genre's tradition of corpse paint, cynicism and anti-religion such as Deafhaven (punk/blackgaze), Liturgy [blackened math metal), Wolves In The Throne Room (transcendental folk black metal) and Castevet (blackened noisegrind). This album is definitely not going to change your mind on the 'hipster black metal' scene whatever you think of it, but Years Past Matter is easily one of the strongest metal albums of the year. Firstly, the band takes musical proficiency to and insanely high level, which I daresay is unmatched except by Liturgy. There is almost no chord played here - every riff, every corner of this album is almost strictly tremolo picked, so quickly that they form their own melodies. This is a very jazz technique, although that genre isn't played on such a high speed like this band. The effect is what one can truly call 'transcendental', a huge wall of nothing but rapid guitar notes that seem to propel forth from an endless pit of a highly diverse cacophony of guitar noises. As if this is not enough to already scare the callow minds that are unaccustomed to such a ridiculous amount of skill, the two guitarists seem to play as if like symbiotic twins, creating a push pull dynamic between each other and bassist Nick McMaster, and when all three instruments are playing at different speeds and patterns and tones, the effect is truly overwhelming. The three guitars never ever rest, finding a portal to weave in a note or two, even at the moments when there is one guitarist riffing, the play with an urgency as if in eager anticipation of the next band member, creating a thick, claustrophobic texture that is truly unique to metal. This brings me to the next point, the fervor and ferocity on this album is a reflection of the sheer passion each member has, ironically, for black metal. Basically, this is black metal separated to its unique trades; high pitched shrieks, thick enshrouding atmospheres, maniacal drums, tremolo picked riffs and philosophical themes. The album itself, even without distinguishable lyrics, is tightly based on metaphysics and cosmic mystery, as displayed by the album cover and title. And somehow, these themes bleed into context as each musical piece unfurls, with the titles simply being 'IIIIIII', 'IIIIIIII', 'IIIIIIIII' and so on. Even without obvious diversity in musical styles, the band has played around with structure and composition, writing strong individual songs rather than trying to mix various genres together like what every other progressive metal band right now is doing. This, is truly black metal, with its strict adherence to the same musical style. The key here is the moods triggered by the music, even with the same technique. The production is crystal clear, as opposed to the lo-fi on the band's previous album of the year 'Diotima', and the new sound gives Years Past Matter an overall lush atmosphere, with even some synth thrown into the mix. The greater emphasis on tremolo picked riffs creates a vibrant colourful sound, and riffs simply comes in waves of twenty seconds before breaking away and forming yet another new wave, before culminating in the tsunami that is the last two minutes of 'IIIIIIIIIIII', where the band finally plays in unison for an epic, grandiose conclusion. Thirdly, the band's emphasis on structure and composition rather than gimmicks and lame experimentation is an evolution of the genre, and for metal itself. Whilst we hear of bands toning down their music (Opeth, Devin Townsend, Dream Theatre etc. ), or heavy bands just piling up on speed without getting any new intelligent ideas (Behemoth, Nile etc. 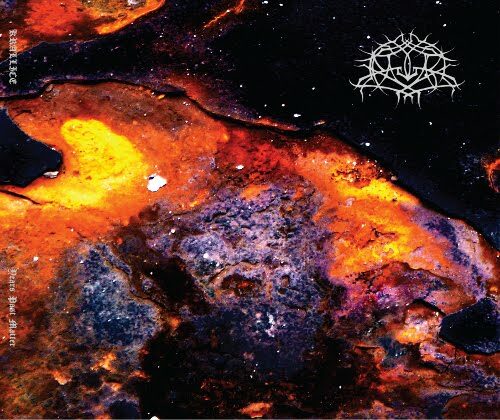 ), Krallice is altogether pushing further and further on the barriers of music. Up to this album, there has never been any challenging 16 minute track that completely pummels the listener not just with tonal ferocity but also complex time signatures that keep dissipating and reforming repeatedly in bursts of 20-30 seconds. Not only that, the confidence on Years Past Matter is apparent with an almost complete rejection of 'traditional' black metal passages which still lurked in 2011's Diotima (probably the lo-fi production). It seems Colin Marston's working with Liturgy on last years has definitely rubbed off in the 'slow-stop-speed up- slow- speed up' dynamics (which is most apparent in 'IIIIIIII'), and it is clear that the two bands are working hand in hand to create some of the most compelling music in the world right now. When I heard Blut Aus Nord's magnus opum 777 - Cosmosophy, I was pretty sure that my album of the year would be a clear winner. But with the sheer immensity of Years Past Matter, Krallice might just be my album of the year for two consecutive runs. Note, this album is really not for anyone. It is very extreme.